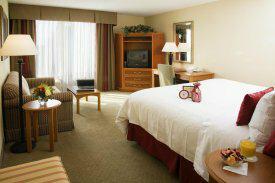 The Crowne Plaza is – without a doubt – the premier hotel in the Fort Myers area. Located in the Bell Tower Shops on US41 and Daniels Parkway, the Crowne Plaza is conveniently located to the airport, beaches and much more. What else makes it so special is that we at the Dohack Group have partnered with the Crowne Plaza to offer an exclusive $89 per night rate any time of the year for our clients and friends. You can’t find this rate anywhere else on the internet. If you would like to take advantage of the deal we worked out, simply click on the Dohack Group logo below and start planning your trip to sunny Southwest Florida!